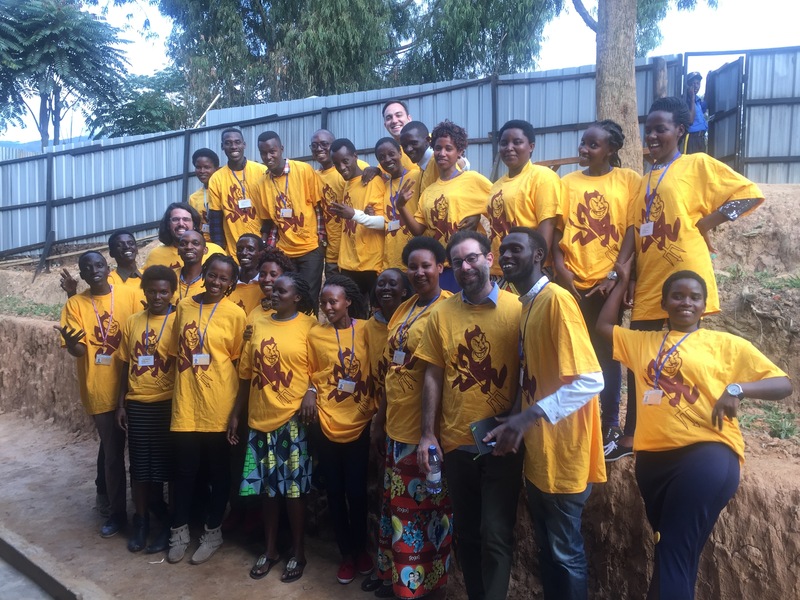 Arizona State University has announced a new partnership with Kepler, a nonprofit university program based in Rwanda. This first pilot of BOLD engages students from Kepler Kiziba’s second cohort in Global Freshman Academy’s College Algebra and Problem Solving (MAT 117) course, an online, adaptive course built using McGraw-Hill’s ALEKS platform. This allows students the self-paced flexibility to master a broad range of foundational mathematics outcomes. Upon successful completion of the course, students will receive ASU academic credit for MAT 117. As with all credit earned through Global Freshman Academy, students can use this credit at ASU or transfer to their home institution. The BOLD partnership is a strategic endeavor for ASU in conjunction with the launch of the Education for Humanity initiative. This initiative leverages ASU’s strengths in digital technology and learner-centric design to extend educational access to refugees and displaced persons around the world in partnership with organizations like Kepler. With a shared commitment to broadening access to education through innovative program models, ASU and Kepler will continue to learn and develop shareable best practices of teaching and learning in this context. Arizona State University announced an agreement Tuesday with Brigham Young University-Idaho and BYU-Pathway Worldwide to facilitate the transfer of academic credit for students wishing to complete a degree at ASU. The innovative partnership will allow students who begin their education through one of BYU-Idaho’s programs access to the wider array of classes, majors and degrees offered by ASU. The Guaranteed Program for Admission (GPA) will help students plan a smooth transfer to ASU and stay focused on earning a bachelor’s degree. This program is designed for students who achieve between 24 and 60 transferrable lower-division credits with a minimum of a 2.5 grade-point average for most majors. It is a cost-effective and time-efficient way of ensuring courses transfer and apply to an ASU degree. The Associate of Applied Science to Bachelor of Applied Science (AAS to BAS) program is for students who have completed an Associate of Applied Science from BYU-Idaho and want to complete a Bachelor of Applied Science at ASU. BYU-Idaho students who complete their AAS will receive 60 credits in transfer toward a BAS degree at ASU, thus requiring a maximum of 60 additional credits to complete their BAS at ASU. ASU President Michael Crow gives the devotional at BYU-Idaho. BYU-Pathway Worldwide operates the Pathway program and also offers online degrees and certificates developed in partnership with BYU-Idaho. Pathway is a one-year educational curriculum designed to give students the confidence and skills needed to succeed in college. It is run by The Church of Jesus Christ of Latter-day Saints and is a low-cost educational opportunity that combines online courses with weekly gatherings in hundreds of church communities around the world, including the Phoenix metropolitan area. For Arizonans who wish to continue their education beyond Pathway and are interested in a major not available through BYU-Idaho, the relationship with ASU may be particularly attractive, offering students the ability to transfer credit to ASU for the work they’ve already done and attend classes in person or online. Students signing up for either the GPA or AAS to BAS programs will receive access to a transfer specialist and pre-enrollment services at ASU. They will also be able to use tools such as ASU’s online major maps, which provide a detailed outline to critical requirements in a chosen field of study. Crow traveled to Rexburg, Idaho, on Tuesday to sign the agreement and deliver remarks to the BYU-Idaho community. He was introduced by the BYU-Idaho president, Henry J. Eyring, who called Crow a friend of the LDS church and someone who shares his school's mission to serve students. “He’s also a great supporter of BYU-Idaho,” Eyring said. “He has inspired confidence in our innovations, both on campus and online." Crow’s address focused on how we as individuals can make an affirmative choice to improve ourselves and the world around us, and he asked the students in attendance to spend some time thinking about what they want to contribute.